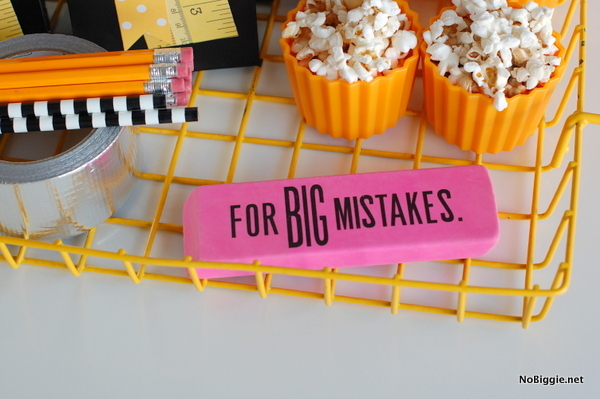 I’m always in denial this time of year…never ready for back to school, but it’s coming. In just a few fast weeks, I will have a 5th grader and a kindergartener (gulp). Where does the time go?! 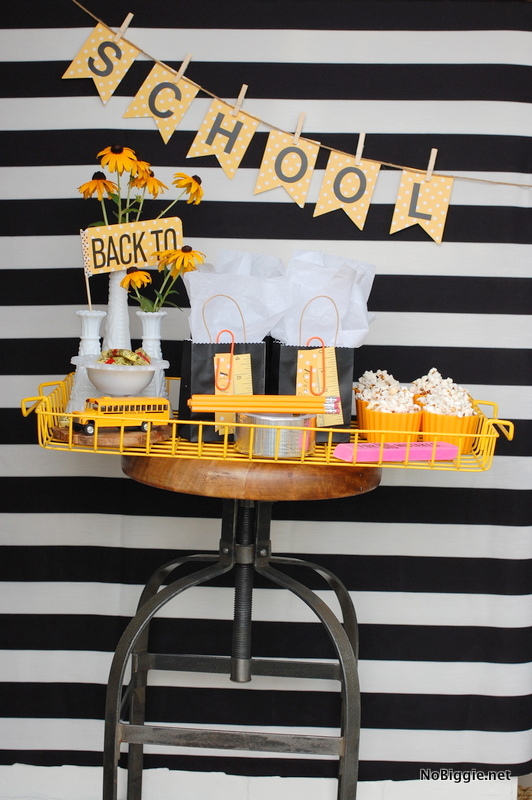 To help get into the back to school mood, I wanted to share simple back to school party ideas. 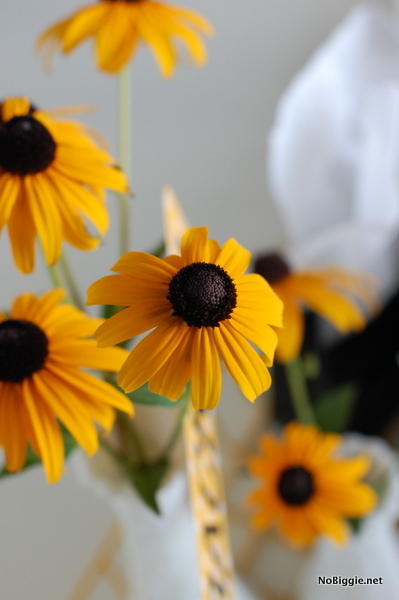 No matter your party theme, one of the best tips when it comes to parties, is to start by picking a few colors for the party. I chose to stick with School Bus yellow, black and white. Whatever colors you choose for your party, the color white should always be included. White makes everything better. 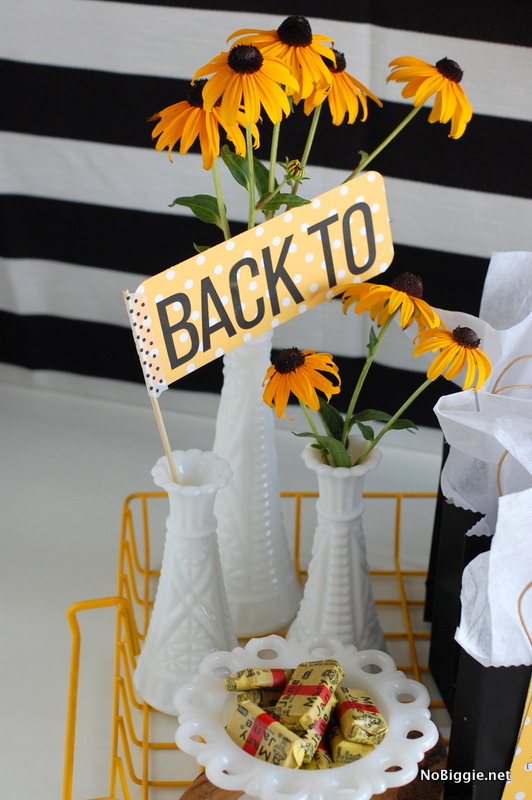 Along with Black Eyed Susan flowers, I used a few vases from my milk glass collection. 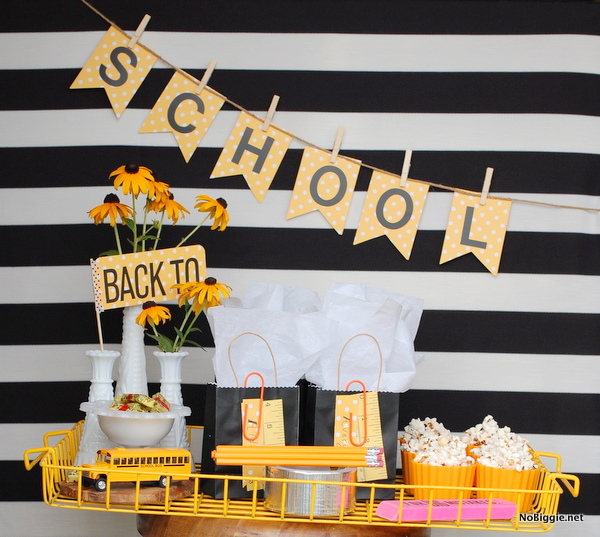 Along with all the regular school supplies you need this time of year, Michaels Stores also has a bunch of fun things I’ve included in this party vignette. 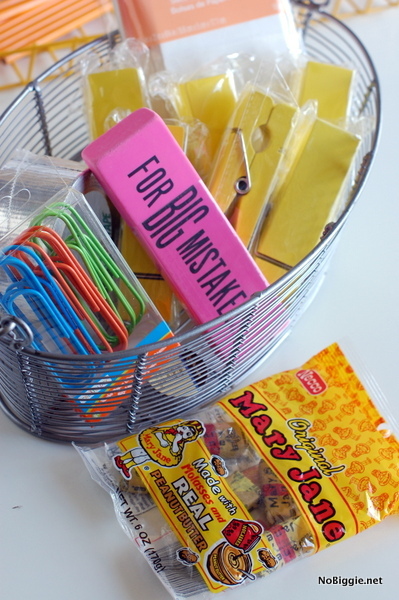 Like these giant sized school supplies. This shiny duck tape would be fun for making a giant pencil for a classroom door decoration. Or this big yellow clothespin that can stand upright would make a great place card holder at a special Back To School dinner with your family. 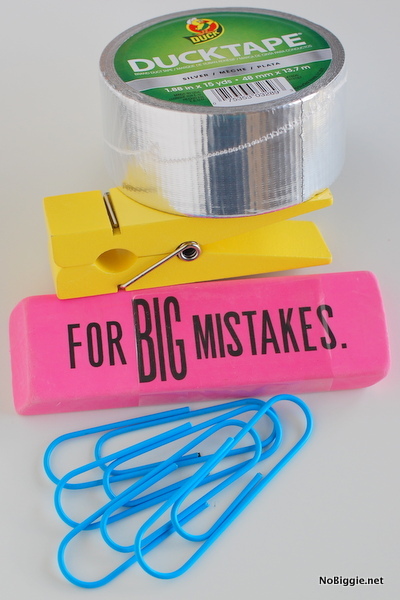 I love these extra big paper clips, they would make fun bookmarks to decorate for a great kid craft. 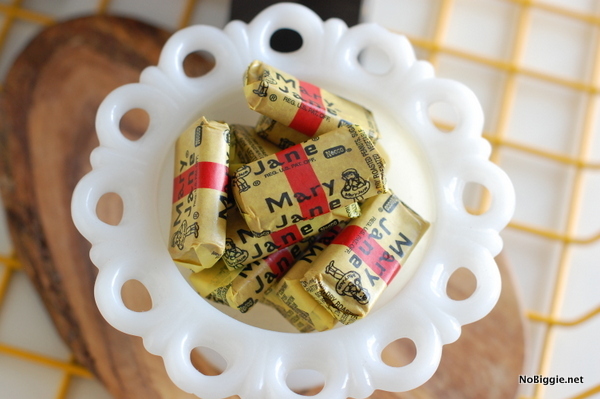 The wrappers of these MaryJane candies worked great with the colors of this party display and I love how old school vintage they are. 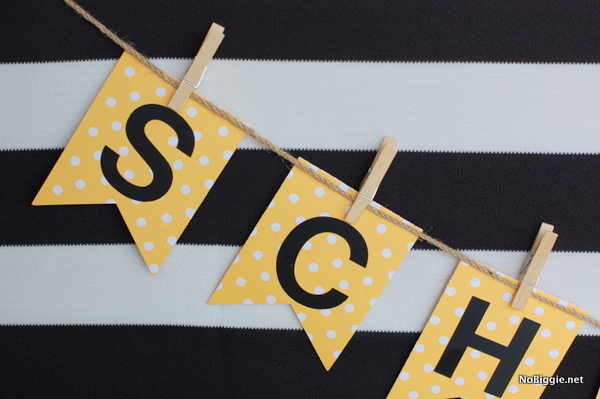 I made this simple banner using polkadot 12×12 cardstock and mailbox letters. I love how the simple font of these letters with the yellow paper looks a lot like the font on a school bus. “School is Shcool” after all, or is it “school is cool”?! Either way you spell it, ultimately going back to school is something celebrate. I wish you all a very happy start to the new school year. 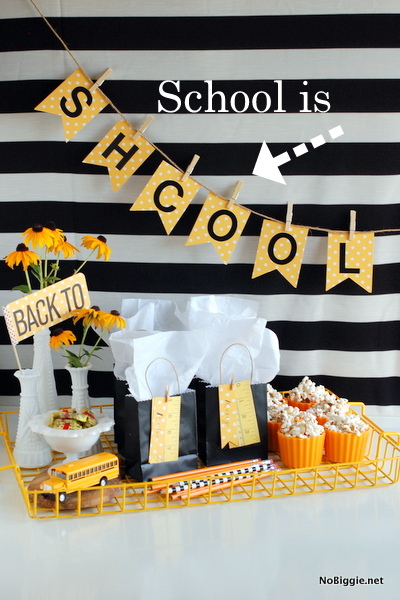 For this post, I’ve teamed up with Michaels Stores in celebrating Back to School. Michaels offers a 15% discount for teachers everyday. Michaels also offers a bulk ordering program where you can order as many supplies as you need and save up to 20 percent. I love the Michaels App on my iPhone, it’s the best for all the latest coupons and deals. What do you have paper-clipped to the front of the black bags and where did you get find them? 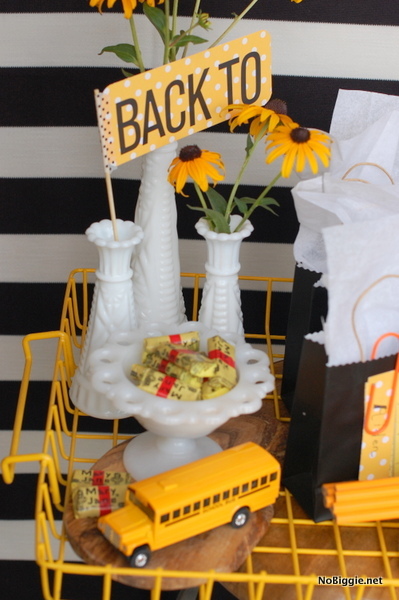 I am needing to set up for a back to school lunch for the teachers and this is so cute! The paper is called measuring tape. I just cut it into strips. PS…we have those *same* swivel stools!!! We love MegaMind! So funny! and I LOVE these stools! I feel like they could last forever! Great design! This is so tastefully done! I love that it has just a few colors! Where did you get the black and white backdrop from?